...traditional stories into imagery, for example, all over the carved Churches and in public spaces of the more prosperous towns, including frescos, statues, paintings and manuscript miniatures. Not only were Biblical subjects freely treated in this way, but also myths and legends from pagan Antiquity were being brought into the spotlight and finding their places in the commissions of the well-to-do. This trend also extended through inexpensive woodblock prints and cards, accessible to even the relatively poor citizens of smaller towns. Ultimately the printing press took the art of illustration into every corner of Europe, though the Eastern Orthodox authorities deplored the trend and heroically resisted it as best they could. But even before the presses appeared, literacy burgeoned with the emergence of the University tradition in Europe. With that, educated imaginations became inflamed with the desire to witness the scenes these newly available texts were describing. A marvelous multi-subject and multicultural library of standard visual tropes developed to express the wealth of learning that was finding its way into consciousness among the emerging literati. It may be hard for a modern person, so steeped in pictures and graphics and cartoons and TV coming at us from every side, to imagine the shift in consciousness that resulted from the first waves of both literacy and printed imagery when they began to become more commonplace in Medieval Europe. One article that aptly illustrates the literally magical impact of the image, newly freed from its bindings in text descriptions, is Wouter J. Hanegraaff's "Sympathy or the Devil; Renaissance Magic and the Ambivalence of Idols", found at http://www.esoteric.msu.edu/VolumeII/Sympdevil.html. 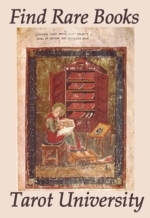 One can also get a sense of the overall development of the European scholastic and emblematic tradition, and how that intersected with early fortunetelling and gaming (along with the growing production of both paper and cardboard images for common consumption) at the site "Collected Fragments of Tarot History" (http://www.geocities.com/cartedatrionfi/Fragments/Pre-1440.html and forward). As you peruse these two resources and gain a sense of how powerful and culturally loaded the "common" images of the Tarocchi pack were seen to be at that time, remember also that the popular use of these allegorical cards was that of a card game. Tarocchi cards were most often mentioned as a pastime to play at parties, or at the pub, to entertain friends and perhaps to gamble with. It is no small part of the abiding fascination that Tarot cards hold even to this day, that a small collection of traditional allegories cast into standard visual tropes with short descriptive titles could have served such diverse functions, from gaming tokens on the one hand, to magical "windows" into parallel universes, suitable for gathering or disbursing invisible influences and focusing the mind into the prime philosophical and esoteric themes of the day. How did these seemingly simple and often primitive-looking flash cards manage to contain that whole range of significances, and retain them even across six hundred years and oceans of cultural change? We may not know all the answers, but the questions themselves are enlightening to ask. As we explore the implications of the figures on the cards, we also allow the Trumps to imprint themselves into our consciousness and suggest further meanings to us, perhaps in some of the same ways that our French, Spanish and North Italian predecessors experienced in the first centuries of their existence. 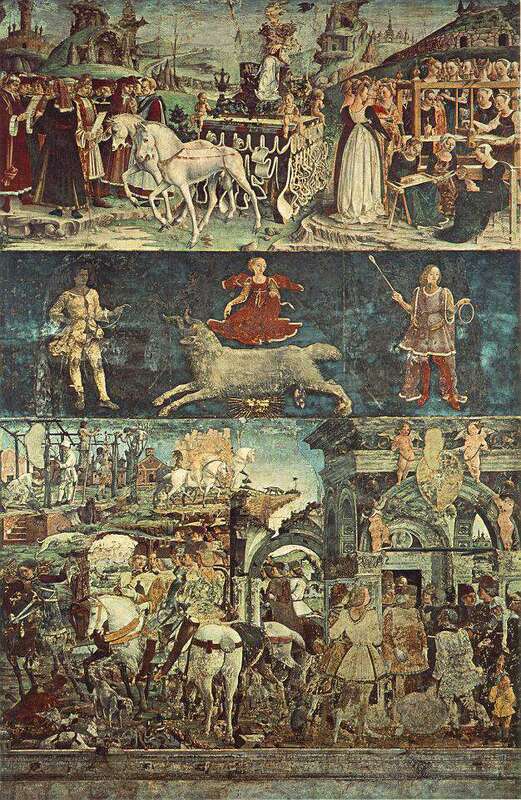 Over time and across Europe as the 1100's segued into the 1400's, the legendary themes and intellectual threads coming into illustration moved from naive reproductions of Biblical and mythological stories into presentations that demonstrate more of the nature of allegories, emblems, and anagrams. As this trend developed, traditional situations and characters become bearers of multi-referenced, subliminal, or even heretical information riding along "above" or "below" the surface of the ostensible subject. As the cultural image-dialogue grew more sophisticated, and the proliferation of topics became heavier with magical, esoteric, and hermeneutic content, even public and ecclesiastical illustrations became more arcane and recondite, the better to reveal nuances to the cognoscenti while still fooling the eye of the unbidden witness. Hidden messages were interlayered, meant to communicate different nuances to different viewers, and often succeeding is conveying extremely subtle and multivalent messages. The very opacity and double-entendre that make these images so fascinating to we who look back in wonder, also frustrate historians who are trying to trace the layers and reconnect the threads that give image-galleries like the Tarot Trumps their continuing appeal to this day. What was said about the enigmatic contents of the emblem-book "Hypnerotomachia Poliphili", is true about the Tarot as well; that the collection contains "...so much science that one would search in vain through all the ancient books [for its meaning], as is the case for many occult things of nature...drawn from the sources of the Muses, with the novelty of a language full of embellishment" (Crasso, 1499). "...under this fiction there are many hidden things that it is not legitimate to reveal" (Martin, 1546). At this point (the latter half of the 1400's- the early 1500's), all standardized collections of illustrated teaching-stories (often presented as Emblems) should be examined with the expectation of finding more than one level of information being transmitted. For this reason I'm going to reference a series of quotes from professionals in the field of esotericism, describing the rich intellectual climate affecting the image-makers of the early Renaissance. When we look at our historical decks, taking them in context with the wider body of illustrations and emblems in which they were embedded, it is wise to remember that there might often be more than one reference being made, more than one note being struck by these cunning combinations of image, symbol, title, and number. Walker goes on in this essay about those other motives for using enigmatic language, and expounds at length on the subject of "veiling" in his longer essay "The Prisca Theologia In France". When it is time to venture forth into the 16th century, we will have reason to look into these articles again. 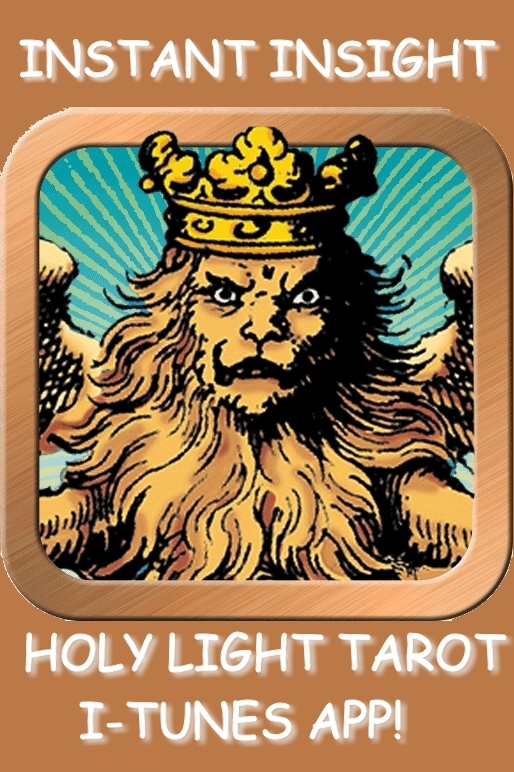 What we can take from this small selection right now is the certainty that the Tarot pack is a perfect example of the kind of intellectual game in which the "delight in skill and difficulty-value" is high. 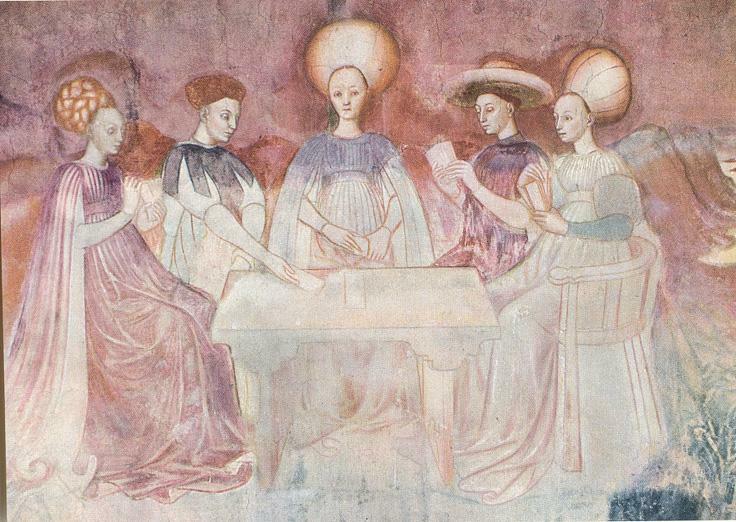 A goodly amount of memorization and probability-juggling was required to play the game of Tarocchi, especially in the first century when the Trumps were not yet numbered and their order in the sequence could have been played in one of three different ways. Even if we don't immediately crack open the deck and peer into their alchemical, Kabbalistic, astrological, and magical interiors, it is obvious that the surface titles, images and symbols provide an excellent matrix within which to associate correspondences and practice the memory arts, both in a frivolous, social way, and in a more focused, contemplative manner. With further study undertaken in subsequent decades, more recent historians acknowledge greater awareness of the concealer's intent beyond the fun and challenge of showing off one's education and Art of Memory skills. "'Esotericism' conjures up chiefly the idea of something 'secret,' of a 'discipline of the arcane,' of restricted realms of knowledge....Certainly it is not a question here of considering the use of the word 'esotericism' illegitimate for secret, 'restricted' teachings. But we want only to note that it is not especially operative, because it is much too exclusive. 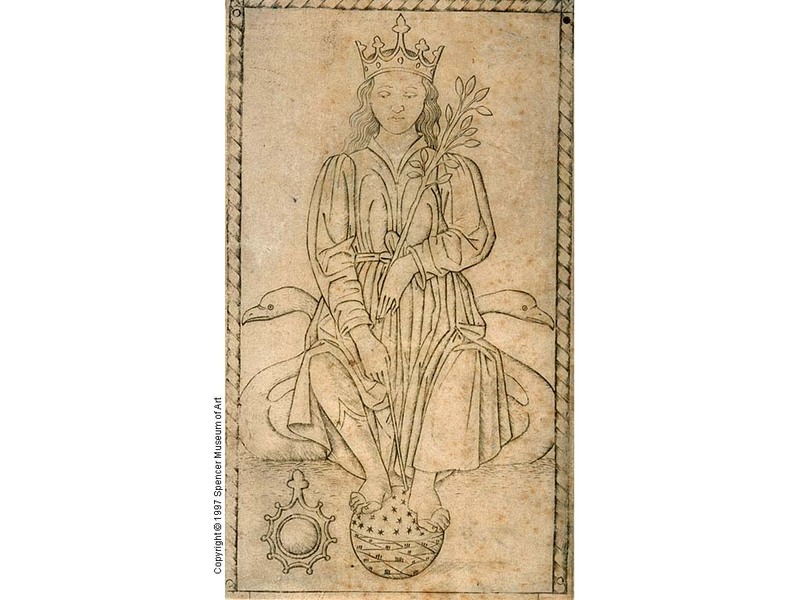 A large part of alchemy, for example, is not secret, when one considers the fact that since the sixteenth century, an abundant literature on alchemy has been continuously disseminated. The same is true of theosophy..... And when secrets do exist, they are generally open secrets. The etymology of 'esotericism' clarifies the idea of secret by suggesting that we can access understanding of a symbol, myth, or reality only by a personal effort of progressive elucidation through several successive levels, i.e., by a form of hermeneutics. There is no ultimate secret once we determine that everything, in the end, conceals a secret..."
Apparently, then, it is not just the matter of delighting in skills acquired and difficulty-value surmounted, but is also a matter of conveying philosophical, mythic, or symbolic understanding, along the lines of the Wisdom Teachings of classical antiquity. The user is tutored in the kind of hermeneutical thinking which allows the unlocking of secondary and tertiary meanings programmed into the images but unavailable until the viewer "ripens" the messages through progressive encounters with the emblems. Along these lines, Faivre's emphasis on the "Imaginal", which he takes pains to elucidate, gives Tarot scholars a core concept to with which to approach the swirling currents of Tarot's pre-history. 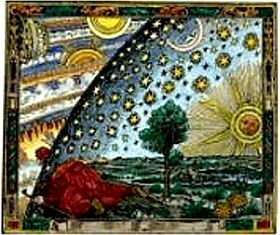 Faivre's imaginal refers to the organized, cultivated, and fantastically realized imagination which a Mason /Alchemist/Kabbalist /Astrologer/Hermeticist/Rosicrucian/Gnostic would build up from years of internally visualizing the mytho-poetic corpus of these related arts and sciences. The goal was to actually cultivate oneself to work consciously in a realm "between" the Real and the Ideal, a timeless moment in a spaceless place (currently called the Astral realm) wherein the unchanging Forms of all the Mysteries were still available for contemplation, relationship, and communication. It is in this realm the Tarot scholar needs "eyes to see", or we will miss the invisible "strange attractors" at work shaping the external history, the exoteric or secular flow of events. 'Understood thus, imagination (imaginatio is related to magnet, magia, image) is the tool for knowledge of self, world, Myth....Such especially energizes theosophical discourse in which it is exercised and deployed on the basis of verses of the revealed Book, both in the Jewish Kabbalah with the Zohar or in the great Western theosophical current which takes flight in Germany at the beginning of the seventeenth century." Astrology, Kabbalah, Alchemy, and Hermeticism, among other disciplines. Renaissance conceptions may appear obscure to us moderns who have been deprived of Classical educations, and therefore find ourselves lacking proper roots for the endeavor. But there is an implicate order that permeates the Imaginal of the Tarot, which should become easier to discern once we can apply Faivre's insights and grant ourselves that multidimensional view so freely adopted at the time of the Trumps first appearance. "Most of the time there is no desire for 'secrecy' in the conventional sense of the term. A secret needs no one to protect it. In fact, we may speak of confidential teaching... or teaching kept jealously at the heart of initiatory societies. 'Disciplina arcani' means chiefly this: the mysteries of religion, the ultimate nature of reality, hidden forces in the cosmic order, hieroglyphs of the visible world -- none of which lends itself to literal understanding. Neither do such lend themselves to a univocal explanation but rather must be the object of progressive multi-leveled penetration. In an essay published in 1906, Georg Simmel gave a statement on the sociology of secrecy, showing that even apart from esotericism, a secret is a component of the structure of social interaction. Thus secrecy does not seem to us a component of esotericism qua esotericism. A so-called 'secret' society is not created in view of some kind of hocus-pocus, but -- as Raymond Abellio has put it so well -- to give a small group of people transparency because the world itself is globally opaque. And generally it is not a doctrine that the initiate is supposed to keep hidden, but at most the details of a ritual.... If a freemason or a member of any esoteric society whatsoever must conceal the name of his affiliated brothers, that is at most a measure of discretion." Here we see an evocative and compact statement of the ingredients of the open secrets with which Renaissance literature and art are studded. Considerations such as confidentiality, initiatory societies, arcane mysteries, pertaining to ultimates and hidden forces, hieroglyphic condensations requiring hermeneutical exegesis and veiled under the niceties of occult discretion -- all of these are themes which Walker first pointed out as features of the Class IIA occult games of the early Renaissance. Starting with Walker's intimation of a "simple, underlying motive for the widespread use of esoteric symbols and the wish to find them wherever possible", his intellectual heirs have unspooled a magical thread weaving among and between the Disciplina arcani of the world's religions, magical practices, and Wisdom Traditions. Ranged along that thread we find the Trumps of Tarot, opening us and opening to us in a ceaseless imaginal conversation stretching from far in the past, and disappearing around the corner of the future. What a wonderful game and philosophical tool to be sharing with our ancestors, friends, and the future of humanity. Crack the deck and let's play cards! We appreciate the feedback and are happy to share. Do tell your friends!